ROCKFORD, Ill. — More than 2.1 billion pounds of cargo made its way through Chicago Rockford International Airport in 2018 — shattering the previous record, set in 2017, by 55%. Cargo business at the airport has been booming for the past few years because of the arrival of Amazon Air and because UPS is routing more freight through its Rockford Air Hub, the company’s second-largest U.S. package-sorting center. The airport is spending about $10 million to expand its 72,000-square-foot cargo terminal to 200,000 square feet by July 1, when Amazon will assume the lease for the next five years, providing the airport with nearly $1.9 million in rent the first year and increasing sums thereafter. The city’s airport became the nation’s 22nd busiest in terms of cargo activity — up from 31st in 2017 — according to the Federal Aviation Administration. Airport officials believe it may soon land somewhere in the top 20. Amazon is the driving force behind the expansion of the cargo terminal. The online retail giant has requested that the airport include several add-ons to the building — at Amazon’s expense — including significant parking lot and driveway improvements and a carport-like canopy feature that will extend the length of the building. The improvements, worth several million dollars, not only increase the value of the airport building, but suggest that Amazon’s presence here will extend beyond the five-year lease it has signed with the airport. 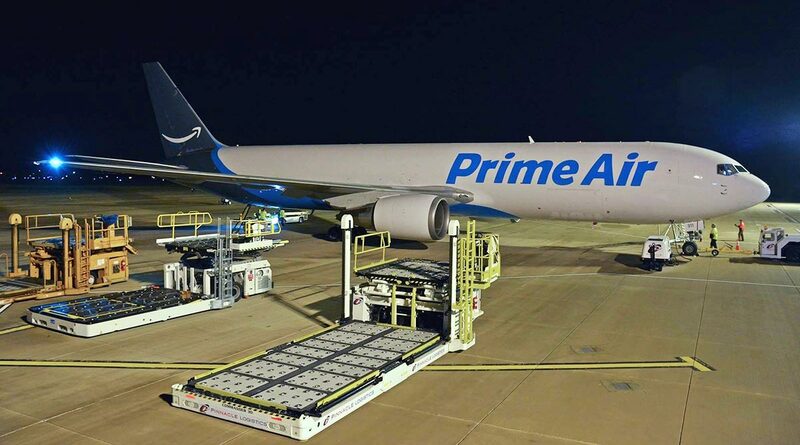 More than 200 full- and part-time employees provide cargo operations, loading and unloading and package sorting for Amazon at the airport, said Sarah Rhoads, director of Amazon Air. The company is routing five flights a day through Rockford. That number is sure to grow in the second half of this year because the airport’s cargo expansion includes more ramp space to accommodate additional flights and lots more space in the cargo terminal for package processing and sorting. “December was a very strong month for us, and things just don’t look like they’re going to slow down on the cargo side,” Dunn said.